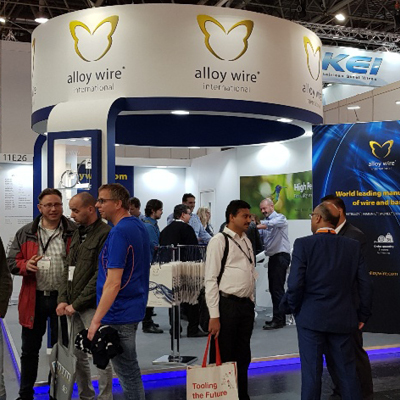 Demand for Alloy Wire International’s services hit an all-time high at Wire 2018, with more than 150 individual leads taken during the five days. AWI staff from different countries were inundated with existing and potential customers keen to explore how AWI can deliver material in just three weeks as their own clients are looking to increase volumes and reduce lead times. A number of enquiries were for the ‘Emergency Manufacturing Service’ it offers, with orders manufactured and completed within four days – a clear industry sign that things are buoyant at the moment. Angus Hogarth, Sales Director at AWI, commented: “We’ve taken 30% more enquiries than the previous shows and these have come from all corners of the globe and from companies involved in nuclear, marine, aerospace and oil and gas. 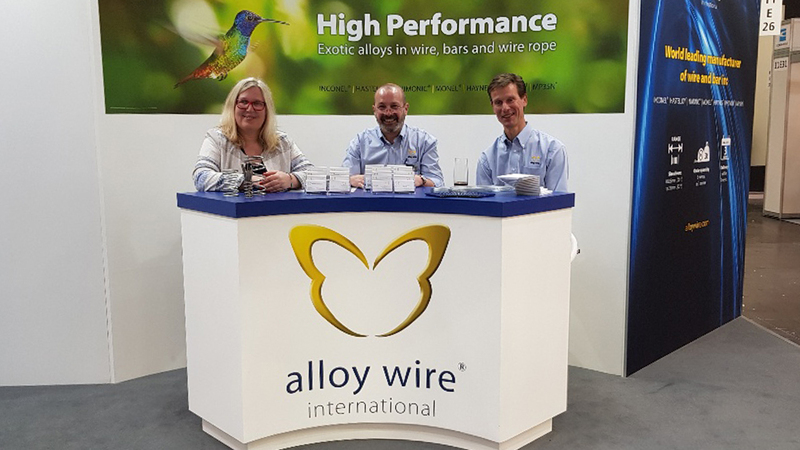 Alloy Wire International’s presence was a truly global affair with staff from their international offices attending Wire 2018, which came in extremely handy when being able to speak to visitors in their own language. On the rare occasion they couldn’t do this, visitors were able to use the 55” interactive TV to access AWI’s product and technical information that is now translated into 15 different languages. The company’s ability to answer technical and metallurgical questions was also in demand and some delegates asked about the availability of technical presentations – something the company is looking to adopt. You can follow news updates on Twitter and LinkedIn.